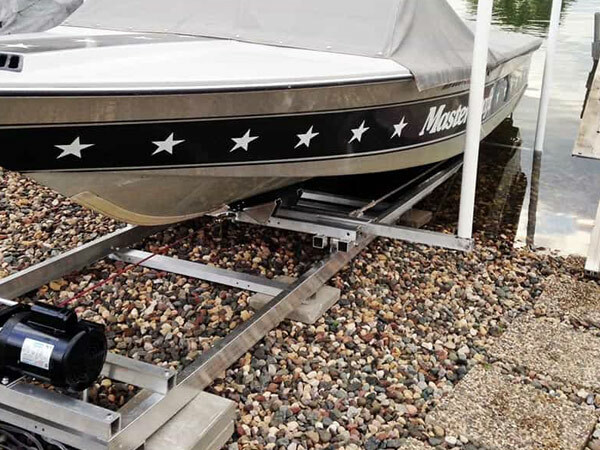 Roll-n-Go’s Model 4200 rail dock system is for boats and pontoons weighing up to 4200 lbs. It has been engineered for strength, durability and simplicity. It is a ready-to-assemble marine boat rail system that is constructed of marine grade aluminum and includes stainless steel fasteners. The boat rail kit comes complete with detailed, easy-to-follow assembly instructions. 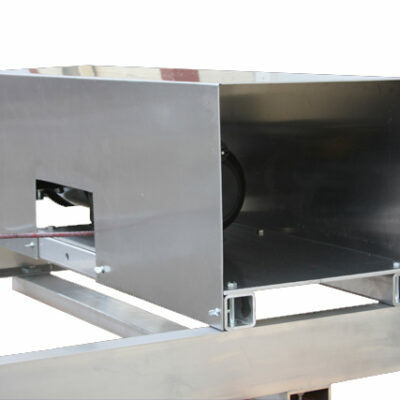 It assembles with common tools in a few hours. 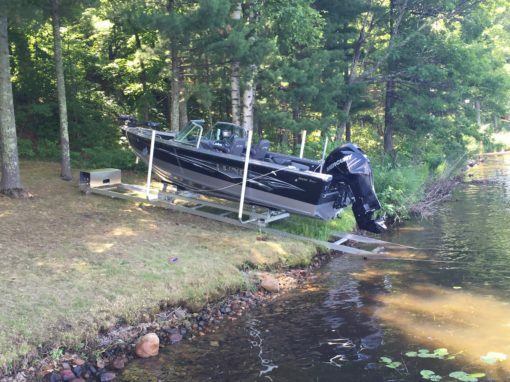 The base price includes standard hand winch and also has several electrical winch options available. 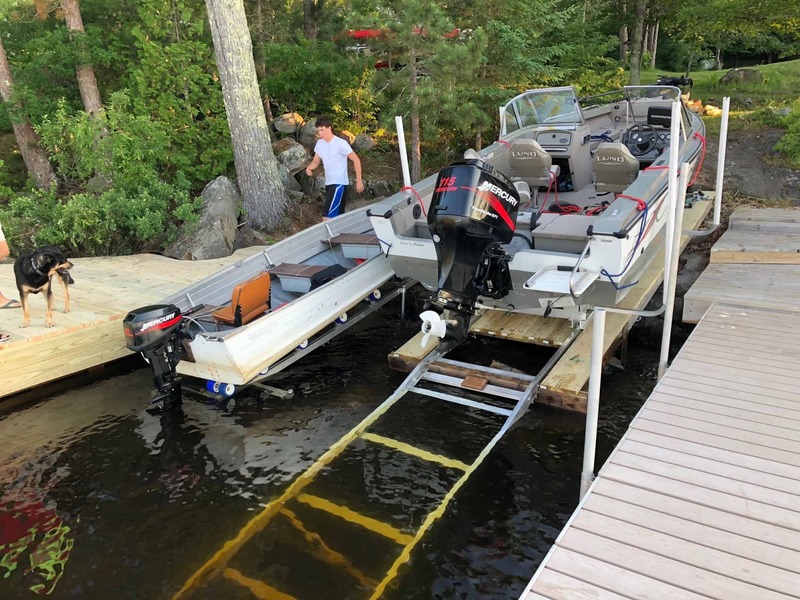 The fully adjustable standard bunk system is upgradable to bunks that accommodate inboard drive ski/wake boats or pontoon boats. The rails are 4″ high structural “c” channel. The basic kit comes with (4) 9 ft. track sections. 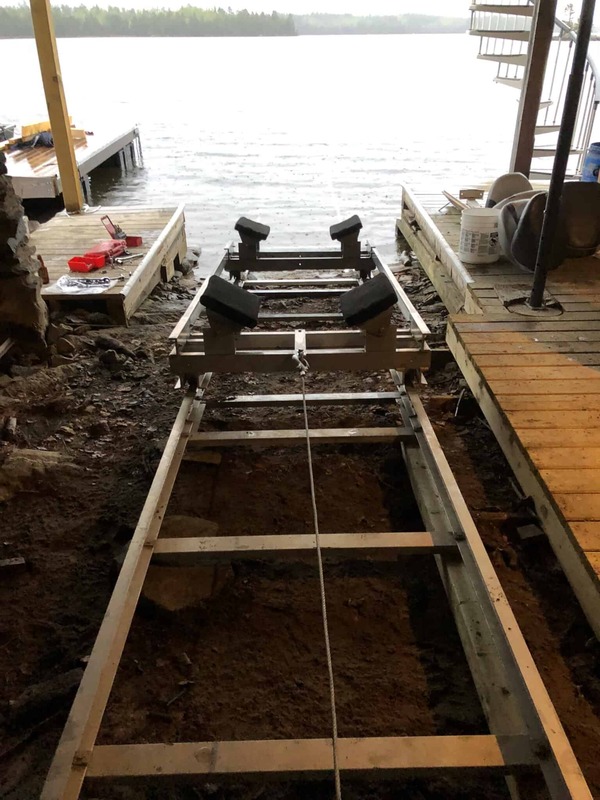 Extra track sections, leg kits and angle kits are available to get your boat over rough terrain or to change angles to follow the contour of your shoreline. 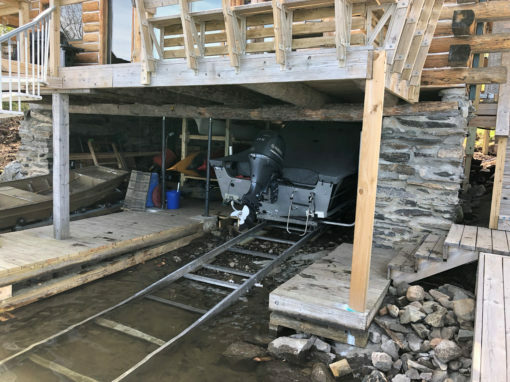 The sections connect easily with specially formed brackets and Roll-n-Go has incorporated a carriage retaining system to prevent the carriage from accidentally getting knocked off the track or from rolling off the end. 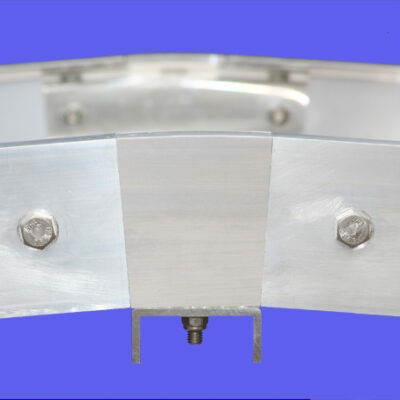 The carriage contains 2 fully welded ends connected by bolt-in channels. 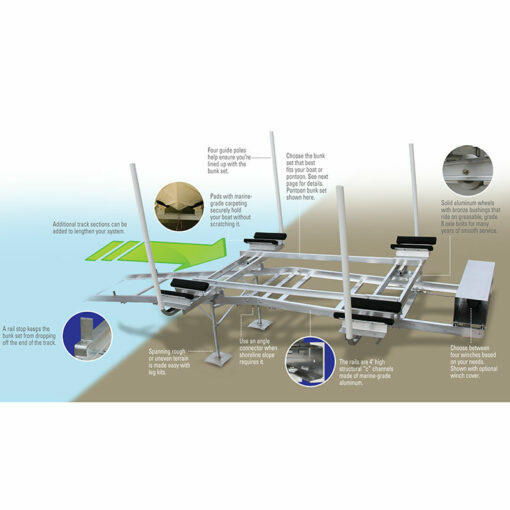 It will accommodate any of our fully adjustable bunk systems. 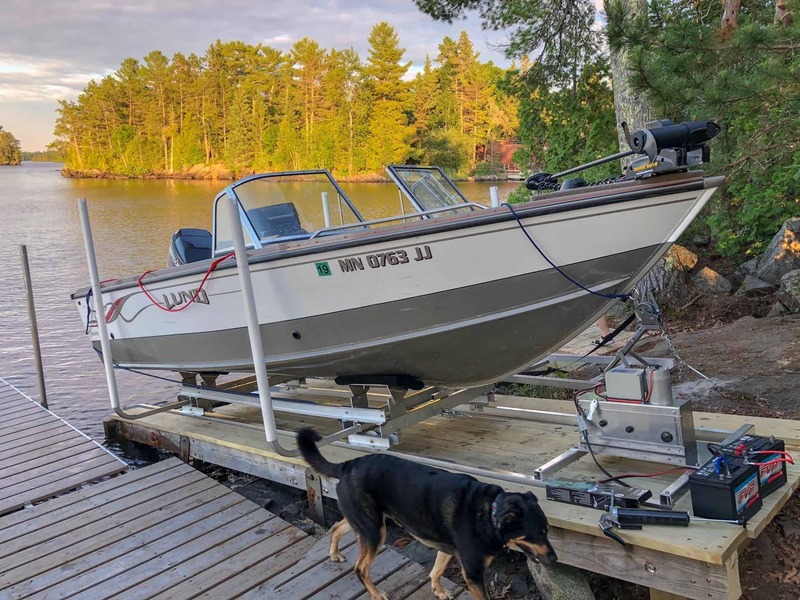 The wheels are machined from solid aluminum, with bronze bushings that ride on greaseable, grade 8 axle bolts for many years of smooth service. 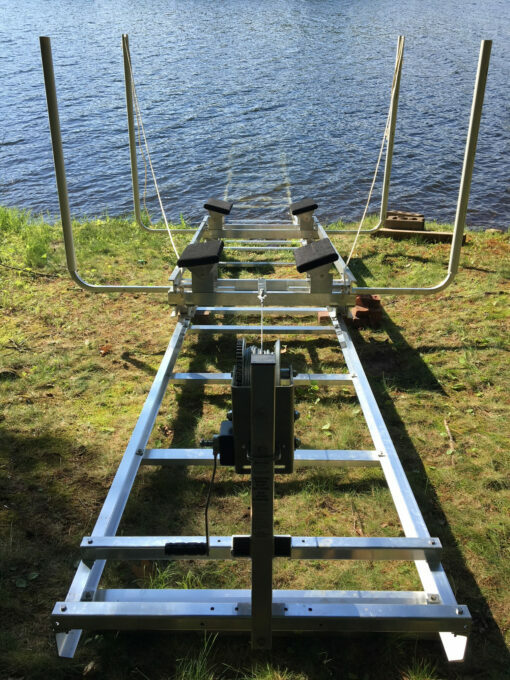 The carriage has sturdy PVC drive-in guides that adjust to 112 inches wide, over 9 feet. 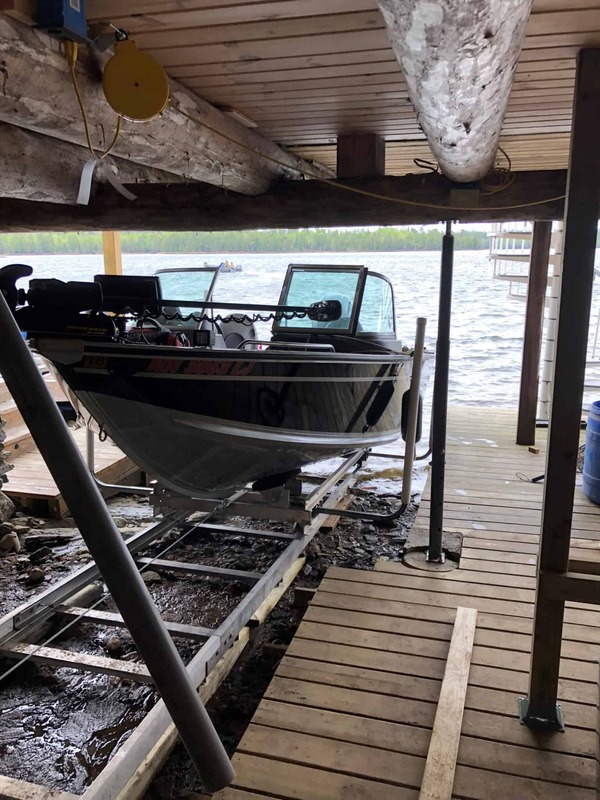 The Model 4200 Boat Rail System is a great place to store your boat over the winter on shorelines that are not subject to ice floe surges. Just winterize and cover your boat and wait for that first warm and sunny Spring day to get back onto the lake! 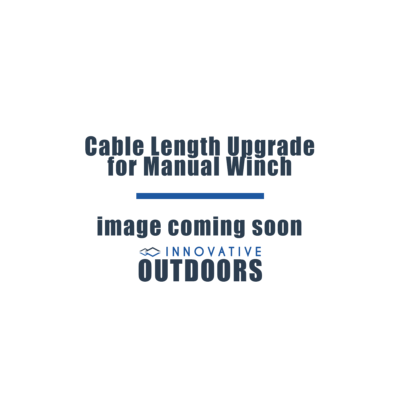 For specific pricing information and to purchase, call us today at (866) 876-5548.